While not all patients will require the use of a profiling bed, many will still be unable to support their own weight, and may need extra assistance sitting up in bed. To maintain patient comfort and support, the Sidhil Care Bed Adjustable Backrest is an ideal choice. 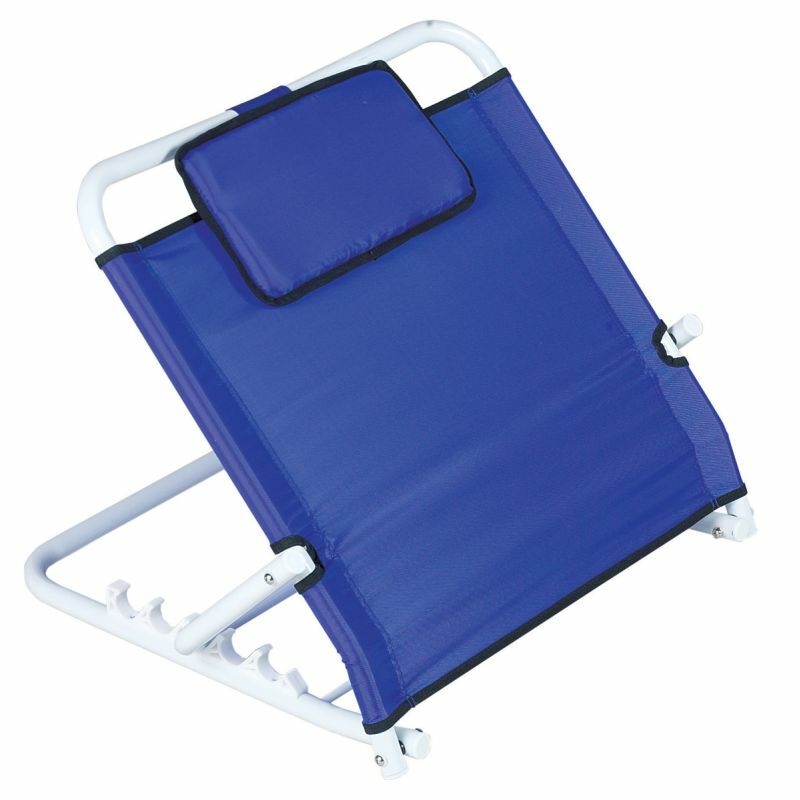 With five different angles and an easy to clean material, the backrest is designed to deliver high levels of support at an affordable cost, allowing users to sit up in bed to provide comfort for a reading, eating or other activities. The ability to sit up in bed when required is important to the well-being of patients, as activities like reading or eating are much easier in an upright position. This Adjustable Backrest facilitates comfortable sitting, and can be adjusted between five angles so that the user can sit at the ideal position for their personal comfort. Please be advised that the Sidhil Care Bed Adjustable Backrest is usually delivered between 3 - 4 weeks of your order being placed. We would advise you to consider this delivery estimation before placing your order and apologise for any inconvenience that this may cause. For more information, please contact our Customer Care Team at 020 7501 0592.